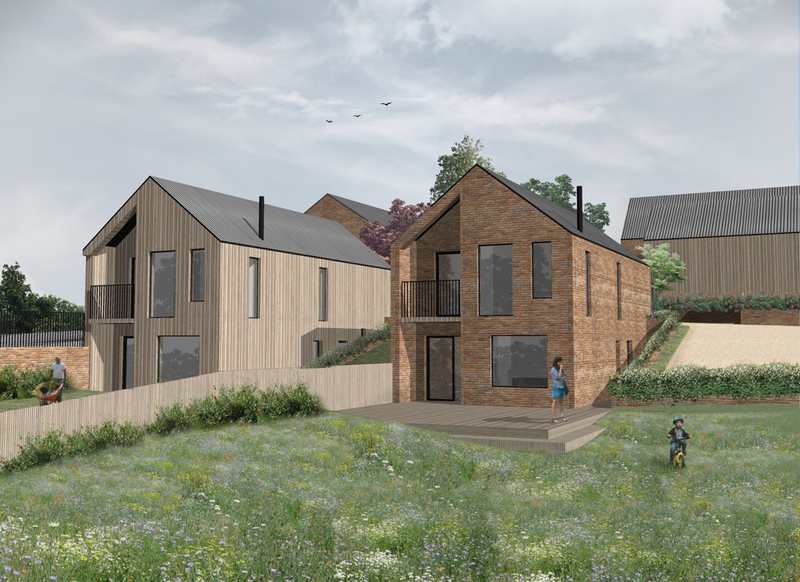 This proposed scheme is a venture into rural living by client Novo Property Group and involves the redevelopment of a beautiful 4 acre site of a former farm near Frodsahm, Cheshire. 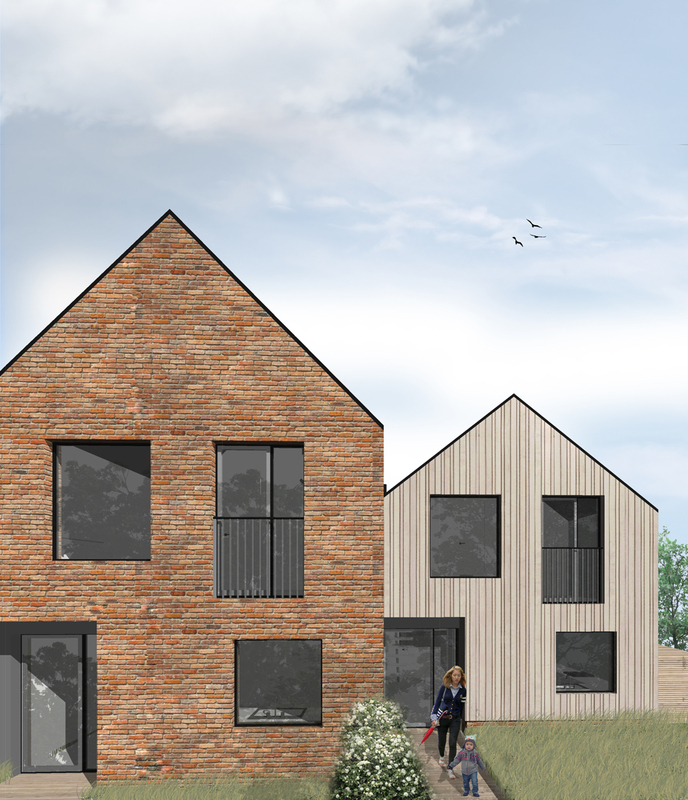 Artform were appointed to develop designs to transform the existing dilapidated and disused site into a new residential development of 9 high quality family dwellings. 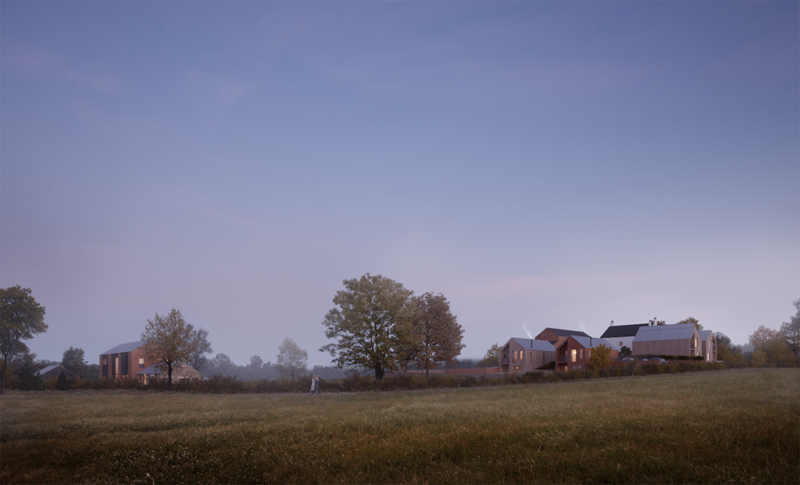 Located within the Cheshire Green Belt, the isolated site is surrounded by farmland, agricultural buildings and a rolling landscape and it is this context that was a key driver in the design development process. 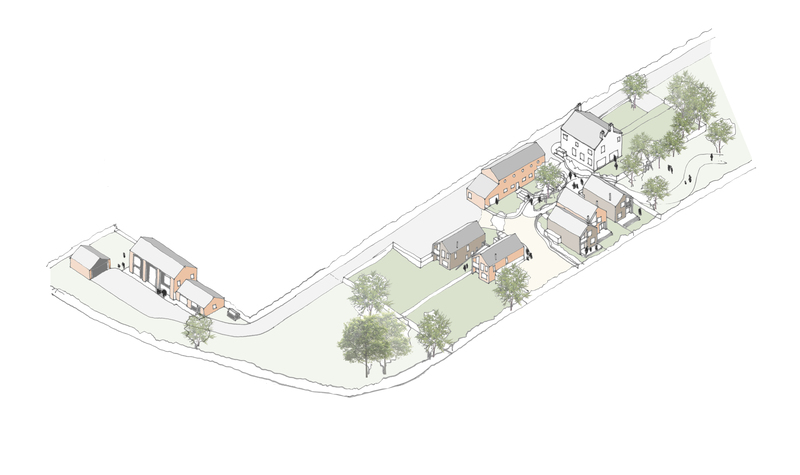 The site layout creates a juxtaposition between old and new with the restoration and conversion of traditional farm buildings alongside the addition of 5 new build contemporary dwellings, all of which have been sensitively designed and draw inspiration from barn-like architecture with simple rectilinear forms and symmetrical pitched roofs. The facades are punctuated by glazed openings, small recesses and simple cladding details to create a distinctive yet highly contextual appearance. 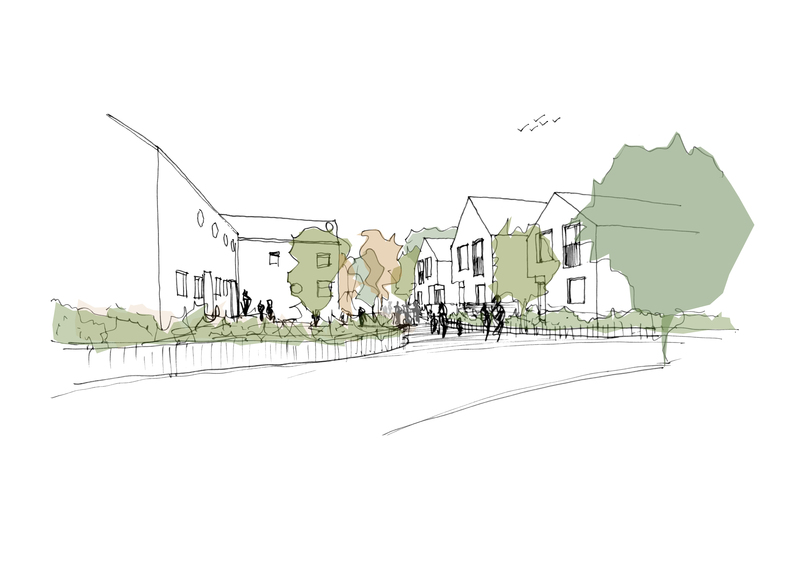 The new dwellings are conceived as a series of timber clad and red brick volumes arranged around the central landscaped courtyard which provides safe communal space for residents to enjoy. 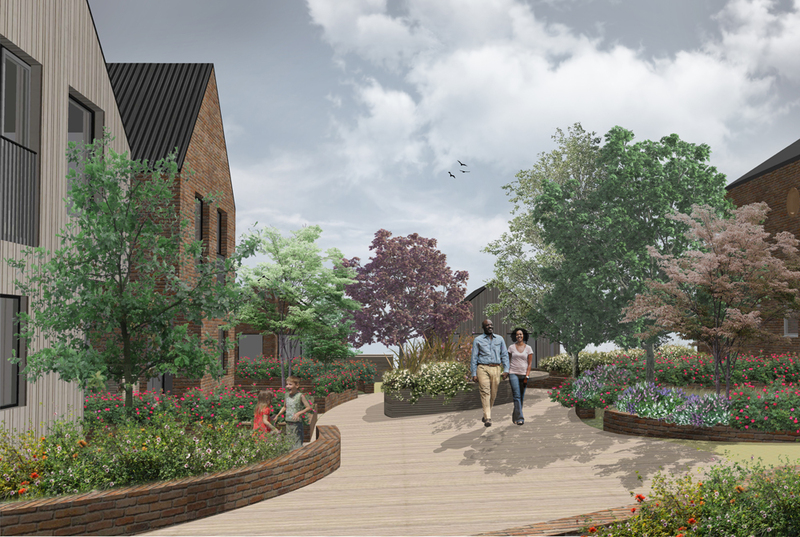 Each family home is accessed from off the central courtyard and benefits from expansive views over the Cheshire countryside and large amounts of natural light from southerly facing aspects. 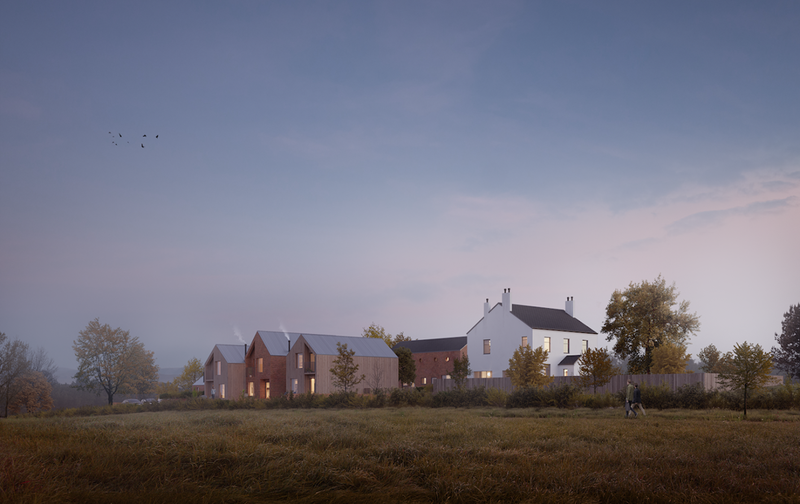 The development ultimately reads as a discreet cluster of buildings sitting within the wider agricultural context and which could conceivably appear as a simple collection of farm buildings when viewed from afar. The architectural design is restrained yet effective, using a limited palette of materials to reflect the simplicity of agricultural barns and sheds.